Share the post "Fibroid Treatments"
Several treatment choices exist for fibroids. Often, surgery is suggested to a patient. As with all surgeries, your doctor should inform you of the risks, complications and possible side effects. The Fibroid Treatment Collective specializes in a non-surgical option; Uterine Fibroid Embolization, (UFE). Fibroid embolization is a non-invasive, out-patient procedure with low risk and minimal side effects. It does not involve the discomfort or long recovery time of surgery and is a proven, effective fibroids treatment. Embolization has existed as a medical procedure since 1975. In gynecology it was used to reduce bleeding during uterine surgery. Founding members of the Fibroid Treatment Collective noticed another important effect. It shrank fibroids. The promise of an effective, non-invasive treatment led to research, trials and medical acceptance. Today more than several hundred thousand women world-wide have found relief with this safe, simple procedure. The Fibroid Treatment Collective performed the very first fibroid embolization in America in 1994 and has authored many important articles on the subject. 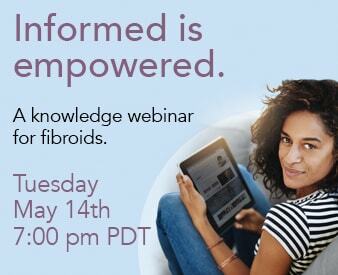 Fibroids are the most common cause for hysterectomy, they are associated with as many as 40% of more than 600,000 hysterectomies performed in the US annually. Depending on their location, fibroids can cause either heavy bleeding, pelvic and back pain, or pressure on bowel and bladder. Most hysterectomies performed for fibroids [the medical term is myoma] are performed by the abdominal route since the fibroids may grow to be quite large. Fibroids are almost never cancerous.